Yesterday we found a huge patch of horn of plenty, so I thought I’d try out a recipe I’ve been mulling over for a while. It’s loosely based on Jamie Oliver’s excellent steak and cheese pie, but with less meat, more mushrooms and no cheese (well, I did say loosely!). 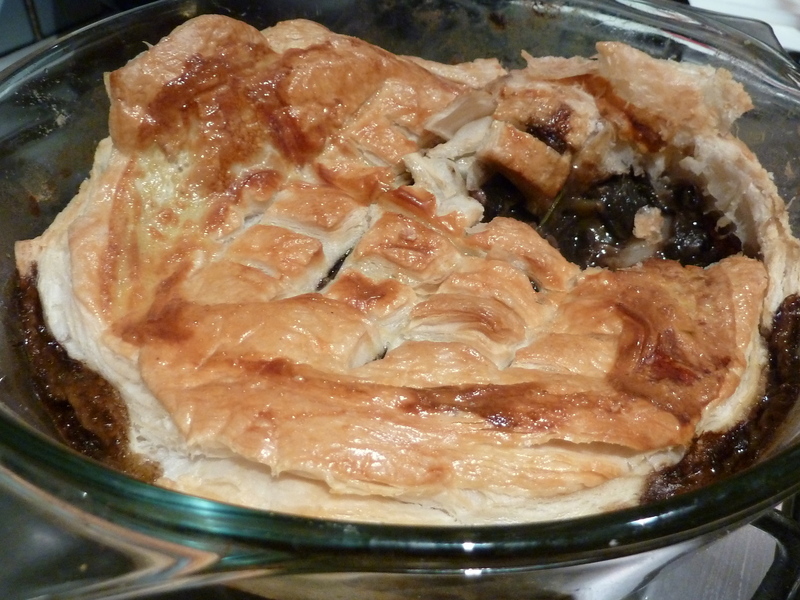 I’ve called it a pie, but it’s more like a casserole with a pastry lid, to be honest. It came out really well and makes a great winter warmer. The horn of plenty has quite a delicate, aromatic taste, and complements the beer nicely. I think it’s worth layering the meat and mushrooms, rather than mixing them, so you get both tastes. The following serves 3-4. Chop and fry the onion, garlic, carrot and celery. When they’re starting to brown, add the beef, rosemary, salt and pepper. 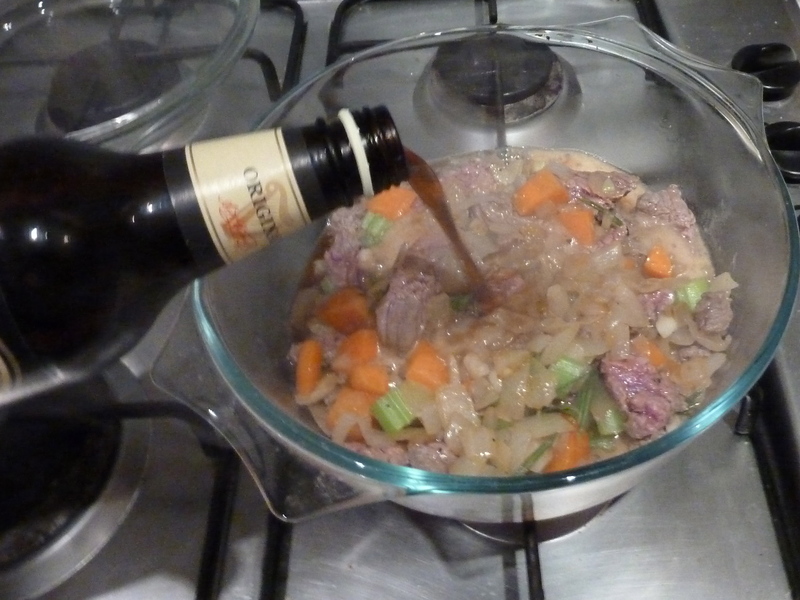 Transfer to a casserole dish, pour over the Guinness and stir in the flour. Put in the oven at 190C. After 1.5 hours, stir and return to the oven for another hour or until the mixture thickens. Remove the lid (the casserole dish is about to become a pie dish). Fry the mushrooms, then spread them in a thick layer across the meat mixture. Roll out the pastry, and tuck it over the mushrooms and meat. Brush the top with egg or milk, and return to the oven for 30-45 minutes.